Look around you. It is likely quiet, the air still. Under the added gaze of tall ceiling beams, you are being stared at by four walls of past presidents, trustees, and chancellors. 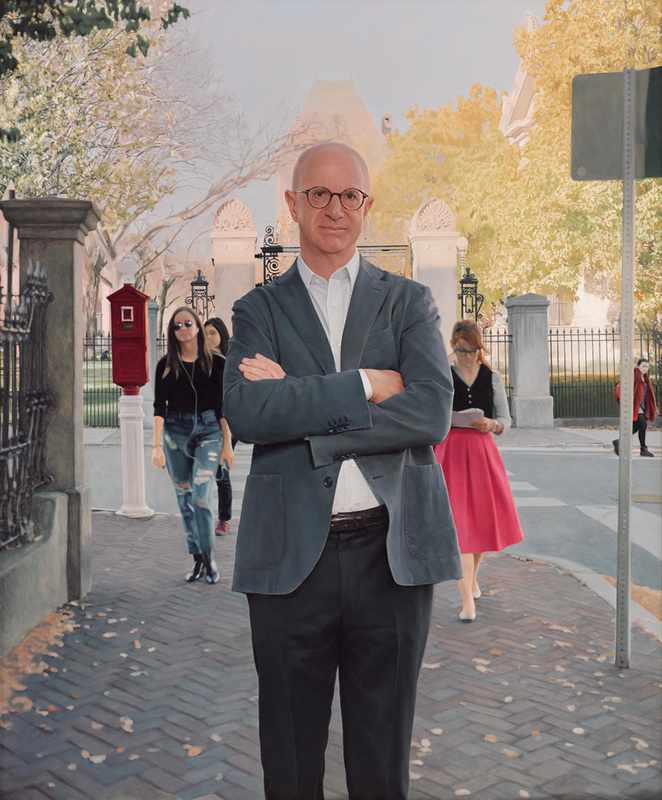 By including Sayles Hall as a stop on admissions tours and hosting various university-sponsored events, it is clear that Brown takes pride in the portraits hung on these walls. But are there repercussions from displaying these portraits with such density? While there are many types of microaggressions, click the videos to learn about racial microaggressions. Most of the portraits here follow the European tradition of portraiture. A main figure is composed, sitting or standing in the foreground wearing a suit and a tight smile. An object representing his or her contributions is visible in the background, usually placed in front of velvet curtains or a bookshelf. Assemblages of mostly worthy men reflect an attempt to bring prestige to the university by referencing its colonial origins and European roots. According to the Brown University Office of the Curator, less than 1 in 10 portraits on campus are of women, though this is changing due to increased awareness and dialogue about representation. 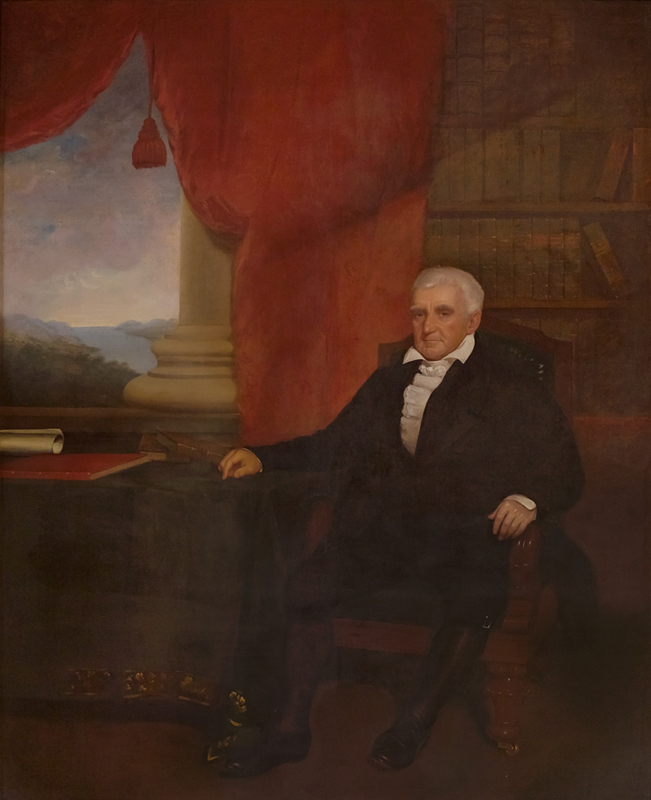 Admissions tours highlight one of the largest and most conventional portraits, the painting of Nicholas Brown Jr. on the far back right wall, joking that he donated $5,000 USD in 1804 ($96,000 in today’s currency) to have the university named after him. Now try to identify one portrait that’s a bit unconventional. On the right wall facing the stage, the portrait of Thomas Tisch may stand out for its photorealistic style, in addition to its outdoor setting and for including more than one figure. Now find the portrait of Ruth J. Simmons, the first black president of an Ivy League institution. Her portrait is one of the most conventional - she wears a robe and is placed directly in the center. Taking these three portraits together, who gets to establish tradition? And who gets to work within it? What’s on the line for those who have more to risk by not bending to tradition? What is a racial microaggression? 84 Waterman St. Providence, RI 02912 ~ Walk inside Sayles Hall through two sets of doors. ,” Rhode Tour, accessed April 23, 2019, http://rhodetour.org/items/show/343. Cannadine, David. National Portrait Gallery: A Brief History. London: National Portrait Gallery, 2007. Coelho, Courtney. 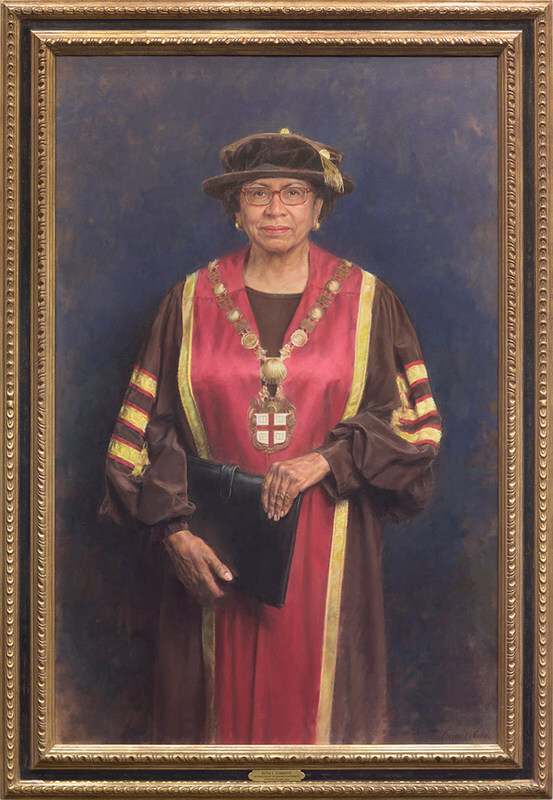 "Ruth Simmons' Presidential Portrait Installed in Sayles Hall." 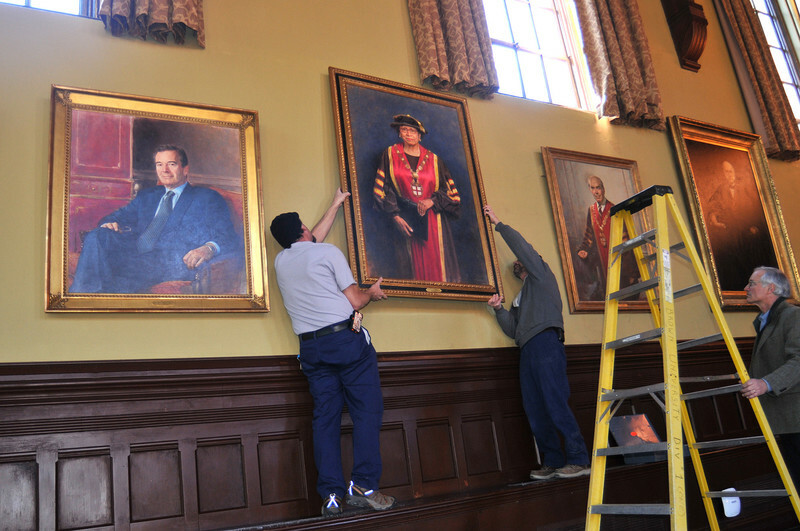 Ruth Simmons' Presidential Portrait Installed in Sayles Hall | News from Brown. January 20, 2016. Accessed March 20, 2019. https://news.brown.edu/articles/2016/01/rjs. Ward, David C. America’s Presidents: National Portrait Gallery. Smithsonian Institution, 2018.